The Spring Equinox occurs on March 20 or 21 each years as the sun enters Aries. The energies are very power at this time. You might want to meditate, ask for guidance in dream time before going to sleep, or visit a place with powerful energies that match your grid matrix for healing and balance. 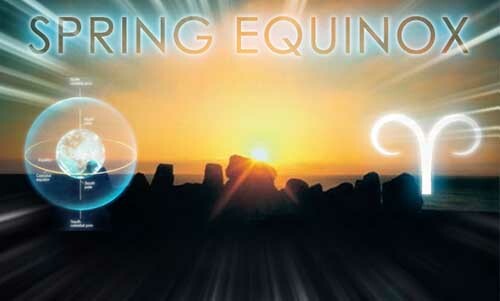 People have recognized the spring or vernal equinox for thousands of years. 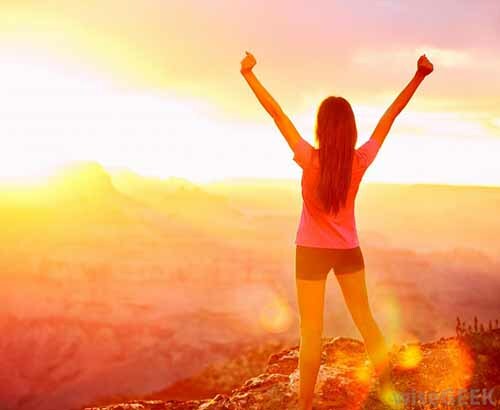 There are no shortage of rituals, celebrations and traditions, personal and universal, surrounding the coming of spring, especially at power grid points and sacred sites around the planet. Spring is a time of renewal and rebirth, a time of transition when the soul lets go of the old and plants symbolic new seeds, each year with increasing determination and renewed understanding of manifestation and changing reality. The soul awakens from the sleepy (depression) of winter and seeks nourishment on many levels. The warmth of the sun (god) awakens something within us, a new quest generally begins, as if by synchronicity. More hours of daylight propel most souls to move forward, to make needed changes. It is almost an internal drive. It's all about finding a way to exist in our reality while facing changing dynamics as another chapter begins. The onset of Taurus links with the Call of The Wild Syndrome as souls seek freedom from relationships, jobs, responsibility, anything that makes them feel confined. The more dysfunctional the soul, the stronger the need to be free. Functional souls adapt, but those with issues and emotional problems often seek escapism and drop out. Allergies: As trees and flowers bloom again they bring with them new and old pollutants and allergies that make us uncomfortable. Vacations and holidays will create dramas and fun in the duality of experience. Many weary souls will cross-over after a long battle with illness, emotional or physical. With death comes birth. Hormones surge in the spring, conception and pregnancy often occurring at this time. Various ancient civilizations (Mesopotamia, Sumeria, Babylonia, Elam) circa 3000 to 2000 BCE celebrated new years at the time of the spring equinox. 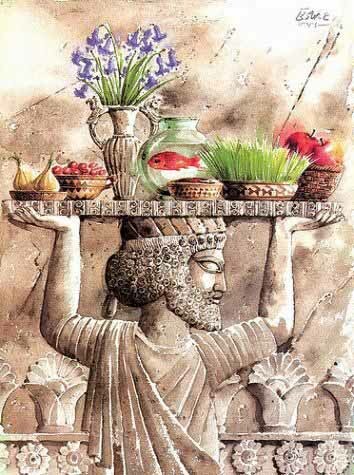 "No Ruz," the new day or New Year has been celebrated in the area of modern-day Iran since the Achaemenian (Hakhamaneshi) period over 2500 years ago. It survived because of Zoroastrianism which was the religion of Ancient Persia before the advent of Islam 1400 years ago. Many religious historians trace the Judeo-Christian concepts of Hell, Heaven, Resurrection, the arrival of the Messiah, and the last judgment to Zoroastrianism. In that faith, the Lord of Wisdom "created all that was good and became God. The Hostile Spirit, Angra Mainyu (Ahriman), residing in the eternal darkness created all that was bad and became the Hostile Spirit." This dualistic God/Satan concept is surprisingly close to the views of conservative Christianity today. Nowruz is now a world holiday of the Baha'i faith. If the equinox occurs before sunset, then New Year's Day is celebrated on that day in the Middle East; otherwise it is delayed until the following day. In the rest of the world, it is always on MAR-21. It is celebrated with many symbols indicating regrowth and renewal - much like the Christian Easter. Some members follow the ancient Iranian "haft-sin" custom on this day involves arranging seven objects whose name begin with the letter "S" in Persian; e.g. hyacinths, apples, lilies, silver coins, garlic, vinegar and rue. In Judaism Passover comes around the time of the Spring Equinox. It was a spring fertility festival-the unleavened bread coming from the agricultural past of the people and the paschal lamb from its more distant pastoral years." 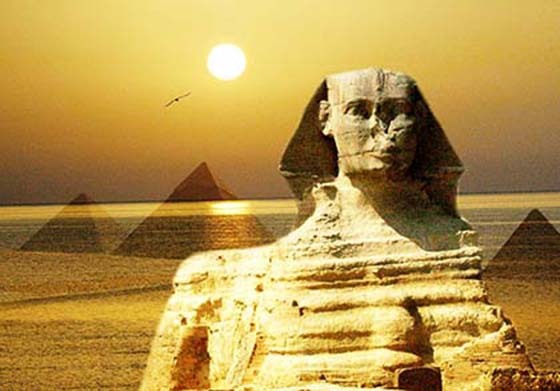 Egyptians built the Great Sphinx so that it pointed directly toward the rising Sun on the day of the vernal equinox. Some view this transition as a victory of a god of light (or life, rebirth, resurrection) over the powers of darkness (death). In China they celebrate Chunfen. The traditional East Asian calendars divide a year into 24 solar terms - Chunfen is the 4th solar term. It begins when the Sun reaches the celestial longitude of 0¡ and ends when it reaches the longitude of 15¡. It more often refers in particular to the day when the Sun is exactly at the celestial longitude of 0¡. In the Gregorian calendar, it usually begins around March 20th - April 4th. In Central America the Ancient Maya Caracol Tower and Temples of the Sun and Moon also have alignments that coincide with the sun's position on the Vernal Equinox. As the sun sets on the day of the equinox on the great ceremonial pyramid, El Castillo, Mexico, its western face is bathed in the late afternoon sunlight. The lengthening shadows appear to run from the top of the pyramid's northern staircase to the bottom, giving the illusion of a diamond-backed snake in descent. 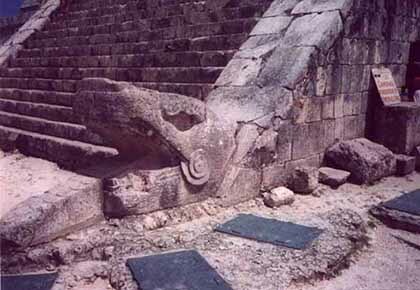 This has been called "The Return of the Sun Serpent" since ancient times. The monoliths at Stonehenge, mark the position of the rising sun on the Vernal Equinox and still serve as a place of ceremonial rituals each year. Spring is significant in Christianity because Easter always falls on the first Sunday after the first full moon after the vernal equinox. The record of the Roman Army's execution date of Yeshua of Nazareth (later known as Jesus Christ) has been lost. 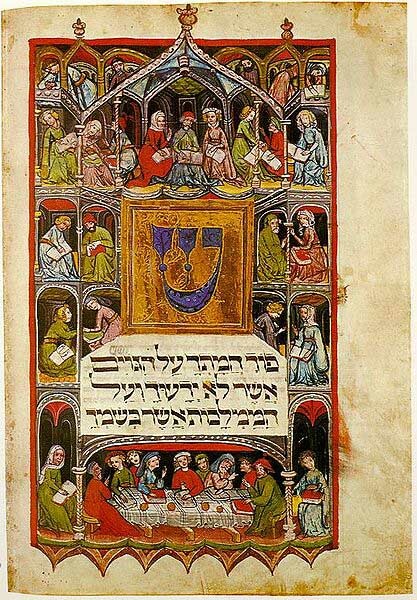 Dates linked to the Jewish Passover celebration in the years 30 to 33 have been suggested. Easter commemorates Jesus' execution, visit to Hell, and resurrection. Easter Sunday is a moveable holy day, being celebrated from late MAR to late APR. It is named after the "Teutonic goddess Eostre, whose name is probably yet another variant of Ishtar, Astare and Aset..."
The Feast of Annunciation of the Blessed Virgin Mary is held on MAR-25, on the nominal date of the spring equinox, according to the old Julian calendar. This is the time when the angel Gabriel told Mary that she was pregnant. (Luke 1:26-38) Nine months later, at Christmas/Yule, Mary is traditionally believed to have given birth to Jesus, while still a virgin. they celebrated the arrival of the goddess of spring, Ostara . Many historians believe the Christian holiday Easter gets its name from Eostre, as she had an enchanted rabbit that could lay eggs. Ostara, the Germanic fertility Goddess was associated with human and crop fertility. On the spring equinox, she mated with the solar god and conceived a child that would be born 9 months later on DEC-21: Yule, the winter solstice. 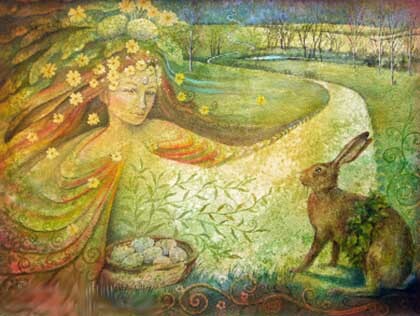 Saxons: Eostre was the Saxon version of the Germanic lunar goddess Ostara. She gave her name to the Christian Easter and to the female hormone estrogen. Her feast day was held on the full moon following the vernal equinox -- almost the identical calculation as for the Christian Easter in the west. One delightful legend associated with Eostre was that she found an injured bird on the ground one winter. To save its life, she transformed it into a hare. But "the transformation was not a complete one. The bird took the appearance of a hare but retained the ability to lay eggs. ..the hare would decorate these eggs and leave them as gifts to Eostre." 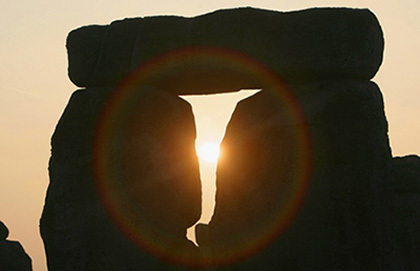 Britain: Both the solstices and equinoxes "were the highly sophisticated preoccupation of the mysterious Megalithic peoples who pre-dated Celt, Roman and Saxon on Europe's Atlantic fringe by thousands of years." The equinoxes were not otherwise celebrated in ancient Britain, until recent years. Ireland: The spring and fall equinox were celebrated in ancient times. A cluster of megalithic cairns are scattered through the hills at Loughcrew, about 55 miles North West of Dublin in Ireland. Longhcrew Carin T is a passage tomb which is designed so that the light from the rising sun on the spring and summer equinoxes penetrates a long corridor and illuminates a backstone, which is decorated with astronomical symbols. Greece: The god-man Dionysos was a major deity among the ancient Greeks. "As a god of the spring rites, of the flowering plants and fruitful vines, Dionysos was said to be in terrible pain during winter, when most living things sicken and die, or hibernate." Persephone, a daughter of Demeter, descended into the Otherworld and returned near the time of the spring equinox. This story has close parallels to various Goddess legends, stories of the life of King Arthur, and of Jesus Christ. Rome: In "about 200 B.C., mystery cults began to appear in Rome just as they had earlier in Greece. Most notable was the Cybele cult centered on Vatican hill ...Associated with the Cybele cult was that of her lover, Attis (the older Tammuz, Osiris, Dionysus, or Orpheus under a new name)...The festival began as a day of blood on Black Friday and culminated after three days in a day of rejoicing over the resurrection." Attis was born of a human woman, a virgin named Nana. He "grew up to become a sacrificial victim and Savior, slain to bring salvation to mankind. His body was eaten by his worshipers in the form of bread...[He was] crucified on a pine tree, whence his holy blood poured down to redeem the earth." 2 The celebration was held on MAR-25, 9 months before his birth on DEC-25. In Rome, the rituals took place where St. Peter's now stands in Vatican City. The similarities between the stories of Attis and Jesus are obvious. Neopaganism is a group of religions which are attempted re-creations of ancient Pagan religions. Of these, Wicca is the most common; it is loosely based on ancient Celtic beliefs, symbols and practices, with the addition of some more recent Masonic and ceremonial magic rituals. Monotheistic religions, like Judaism, Christianity and Islam, tend to view time as linear. It started with creation; the world as we know it will end at some time in the future. Aboriginal and Neopagan religions see time as circular and repetitive, with lunar (monthly) and solar (yearly) cycles. Their "...rituals guarantee the continuity of nature's cycles, which traditional human societies depend on for their sustenance." Wiccans recognize eight seasonal days of celebration. 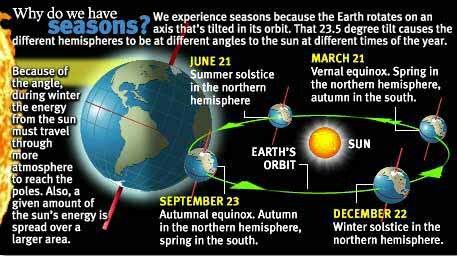 Four are minor sabbats and occur at the two solstices and the two equinoxes. The other are major sabbats which happen approximately halfway between an equinox and solstice. 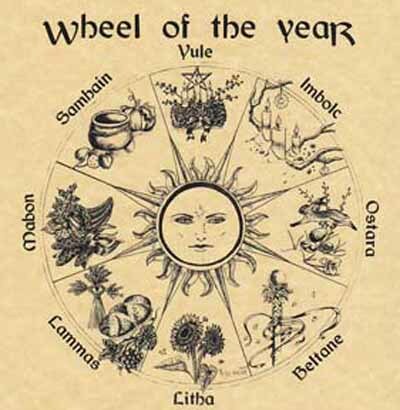 Wiccans may celebrate Lady Day on the evening before, or at sunrise on the morning of the solstice/equinox, or at the exact time of vernal equinox. Near the Mediterranean, this is a time of sprouting of the summer's crop; farther north, it is the time for seeding. 8 Their rituals at the Spring Equinox are related primarily to the fertility of the crops and to the balance of the day and night times. Where Wiccans can safely celebrate the Sabbat out of doors without threat of religious persecution, they often incorporate a bonfire into their rituals, jumping over the dying embers to assure fertility of people and crops. It is experienced as a time of balance. There are countless stone structures created by Native Americans still standing. One was called Calendar One by its modern-day finder. It is in a natural amphitheatre of about 20 acres in size in Vermont. From a stone enclosure in the center of the bowl, one can see a number of vertical rocks and other markers around the edge of the bowl At the winter solstice, the sun rose at the southern peak of the east ridge and set at a notch at the southern end of the west ridge. The summer solstice and both equinoxes were similarly marked. 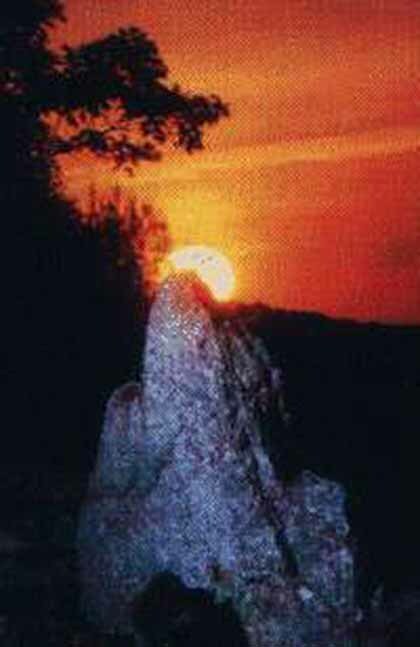 America's Stonehenge is a 4,000 year old megalithic site located on Mystery Hill in Salem NH. Carbon dating has estimated the age of some charcoal remnants at 3,000 and 4,000 years ago. Researchers have concluded that the site was erected either by Native Americans or an unknown migrant European population. The site contains five standing stones and one fallen stone in a linear alignment which point to both the sunrise and sunset at the spring and fall equinoxes.